At Michael Kelly Dentistry we understand that most patients have a degree of anxiety about dental treatment but that some patients are much more anxious or indeed phobic about the dentist. We have successfully treated many patients whose fear of the dentist has been so bad that they have avoided a dental visit for many years. When this is the case it is common to feel embarrassed about this which may worsen your anxiety. We understand this and want to reassure you that we are keen to ensure that you don’t delay visiting us any longer. Our team is prepared for anxious patients and we welcome them from near and far. No matter how anxious you feel, be assured we have seen somebody more nervous and will do everything we can to help you overcome your fears. If you are very nervous about treatment we can give you medication that puts you into a relaxed state before your treatment. We offer both oral and intravenous sedation using use Diazepam and Midazolam and whilst you are under sedation your blood pressure, pulse, oxygen levels in the blood and heart are constantly being monitored. At your first visit we can talk through your treatment outwith the surgery- some people feel more relaxed and comfortable this way. Sedation Dentistry in Glasgow – Is this suitable for me? 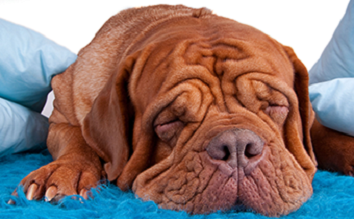 We can also use the Quicksleeper- an alternative to the traditional anaesthetic injection which is quick, fast acting and works where dental injections have failed. This has helped many patients to go through with treatment which was otherwise impossible.